Join KIBO next week at Imajine That Academy! Parents, teachers and children, get ready tocelebrate – it’s almost April vacation week! New England-based parents, if you’re looking for fun activities for your kids, check out Imajine That, which will feature KIBO from April 20 through April 25 at the Imajine That Academy. It’s unique – a first-of-its-kind interactive play space dedicated to family and child engagement. We love pioneers committed to new and exciting ways to engage. The Imajine That mission is to inspire humans through playful, imaginative exploration, which is what KIBO is all about! The Imajine That team is dedicated to bringing families, individuals and communities closer to one another. As well as developing cognitive and motor abilities, KIBO helps children to explore and develop social and emotional skills. The organization is committed to the development of best practices and is grounded in research. Imajine That follows guidelines from the National Association for the Education of Young Children (NAEYC)for developmentally-appropriate practices. We developed KIBO based on more than fifteen years of research in learning technologies at Tufts University. Last, but not least, we love the amazing play space that Imajine That has created for families and children to create, share and learn together. With ‘Imaginators’ working on-site to help facilitate playful and imaginative exploration, the Imajine That playspace has a series of ‘Imagination Stations’ which includes a massive dinosaur children can climb; an arts and crafts area; a child-sized Whole Foods® grocery store; Between the Lions® literacy area; a Peep and the Big Wide World® Science Station and even a Lowell General Hospital Doctor’s’Office play area. So come and join KIBO during April vacation at Imajine That! 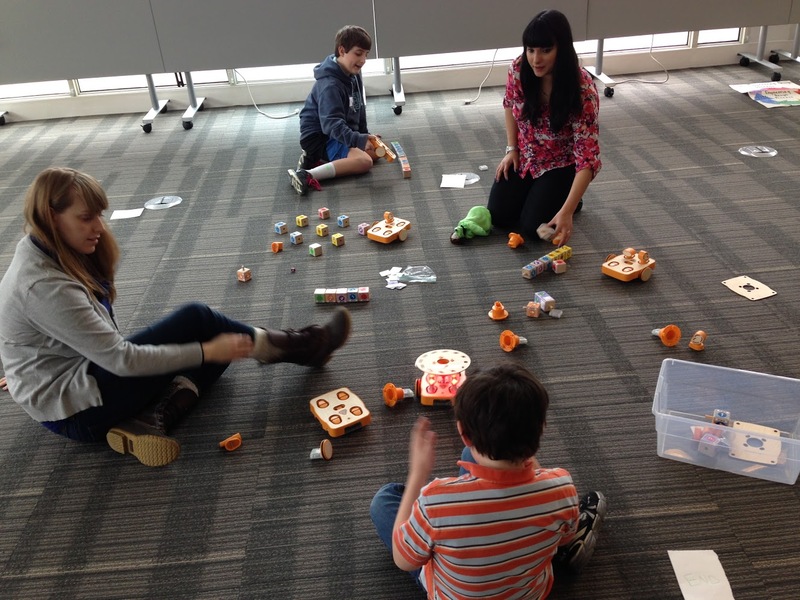 Join us for one, two, three or five-days of building, programming and decorating KIBO robots. The April Vacation week program will run from 9:00am – 5:00pm ET April 20-25th. Prices begin at just $60 for non-members and include snacks, drunks and lunch. To register, please get in touch with Shelly Outwater of Imagine That directly at [email protected] or via phone at 978 566-1498.